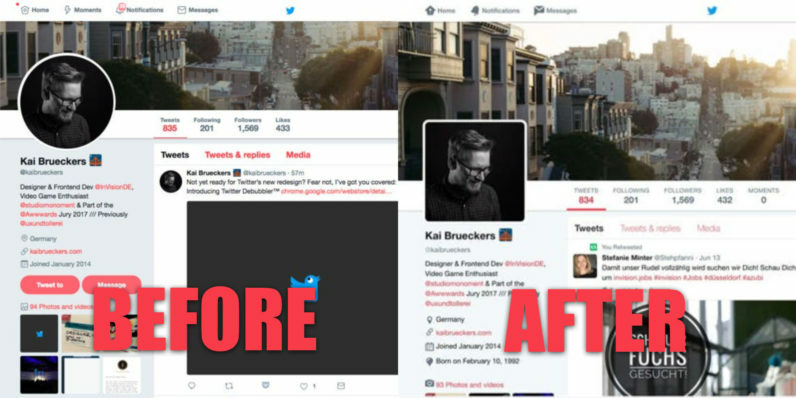 Twitter introduced a new design this week which replaced rectangular buttons and avatars with a new, bubblier look. Naturally, people complained, especially about the desktop version. While I personally don’t mind Twitter’s new look – circles are superior to squares – there’s now a Chrome extension for all those annoyed by the redesign. The aptly named Twitter Debubbler was created by Kai Brueckers and posted on Product Hunt earlier today. Now everyone’s happy! You can check it out on the Product Hunt Page, or go straight to the Chrome Store. Enjoy.